Searching for quality rain gutter installation in McCaysville, GA? Look no further than Affordable Gutters Plus, LLC! You get top quality rain gutter installation for your home with our complete roofing and gutter services. Ease your worries about roofing damage with our quality rain gutter installation, just one of our many services designed to help you rest easy and prevent roof damage. For the best service in town, pick our licensed, skilled contractors. One call is all it takes to get all of your rain gutter installation answers. Contact Affordable Gutters Plus, LLC today at 770-735-4433 for your rain gutter installation in McCaysville, GA. 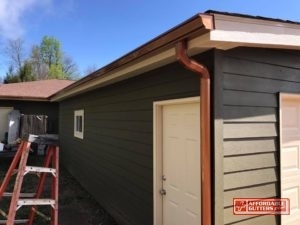 When you require residential services, Affordable Gutters Plus, LLC is the one to pick for houses in McCaysville, GA. With roofing and flashing services, our contractors complete more than just rain gutter systems. Leaf Guard Gutters: Install leaf guard gutters for your house today! Roof Drainage Repair: Make sure your system functions perfectly with roofing drainage repair and replacement. Seamless Rain Gutters: Water damage and leaks are a thing of the past when you pick a high quality seamless rain gutter installation from Affordable Gutters Plus, LLC. Squirrel Deterrent Flashing: Squirrel deterrent flashing provides your home with a solution to stop rodents from chewing through your roofing, causing big problems like water damage and leaks. And So Much More! When storm, hail, and high winds strike, your house is protected and safeguarded from the hardest strikes by your roofing. You can safeguard your roofing with skilled installation on your gutter system. 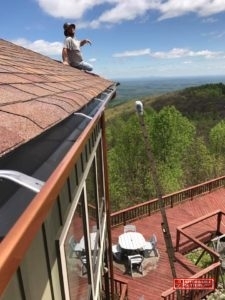 Give us a call today at 770-735-4433 to speak with one of our contractors about your house’s roof or rain gutter installation in McCaysville, GA.
You anticipate your home to last you a lifetime. 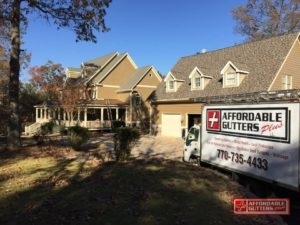 With Affordable Gutters Plus, LLC, you receive contractors that understand your specifications and aim to supply you with gutters that will last as long as you own your home. We are licensed to install, repair, and replace your residential roofing and gutters. You get excellent customer service and top-notch craftsmanship around with your roof and rain gutter installation. Let’s begin today. Call 770-735-4433 for Affordable Gutters Plus, LLC and rain gutter installation for your McCaysville, GA home today!